With the Adhaesio, the single-hand watch specialist MeisterSinger has developed a dual timer that adeptly follows its own aesthetic principles and the confident perception its clients have of time. For years now, MeisterSinger has continually developed timepieces with additional functions and always managed to find ways that embody the essence of its single-hand watches, both technically and in terms of design. 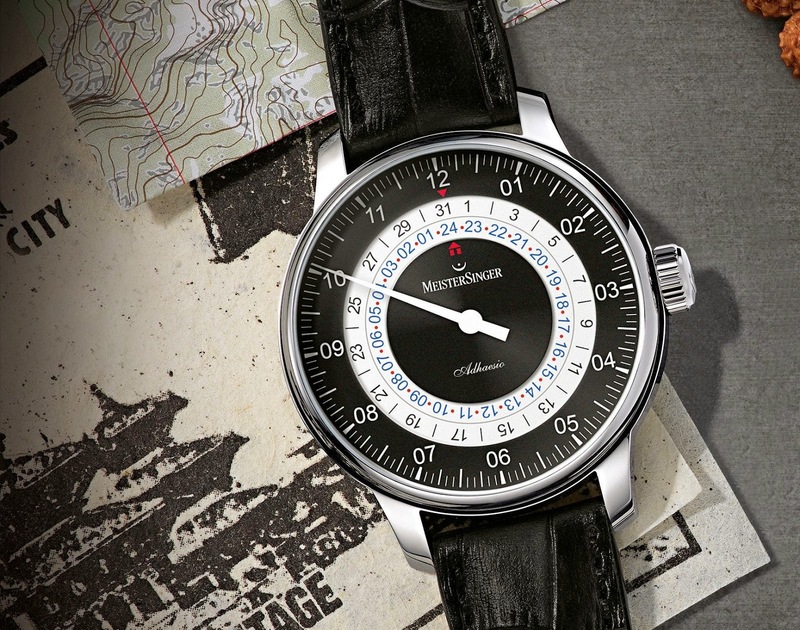 The Adhaesio too is a typical MeisterSinger, in both concept and aesthetics. An individual, needle-sharp hour hand points to the current time of day or night at the location of its wearer, accurate to within five minutes. 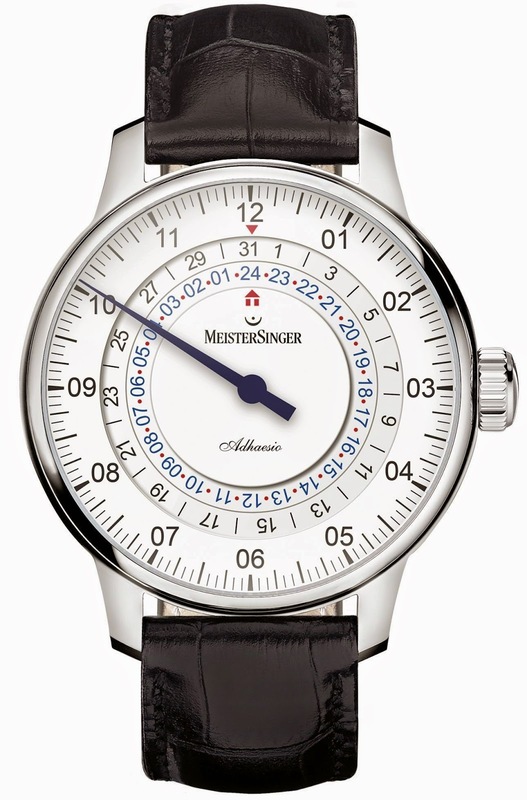 Above the MeisterSinger logo, an arrow points to the second local time on a 24-hour ring, which slowly rotates in a clockwise direction. These two times are separated by a second ring, which shows the date and moves in the opposite direction. The carefully selected typography ensures that the display is clearly readable. The time of day and the date form one cohesive unit. The second time zone is clearly visible. Both rings are set slightly deeper than the edge and the center of the dial. Characteristic of MeisterSinger, the hour is therefore visually in the foreground. The Adhaesio is powered by a Swiss automatic movement, the ETA 2893. The local time, the second time zone and the date can all be easily adjusted via the crown. 43 millimeters in diameter, its stainless steel case is discreet in size and a mere 10 millimeters high. The Adhaesio was unveiled at the Baselworld 2015 and is available in four versions from September onwards.